BERLIN - The Police Department is implementing a new reserve officer program for retired Berlin officers. The program is for traffic control during construction jobs, which may help the town recover some lost potential revenue. The policy, called the Reserve Officers Program under General Order 21.1.2, was approved by the Police Commission 4-1 at their last meeting in July. 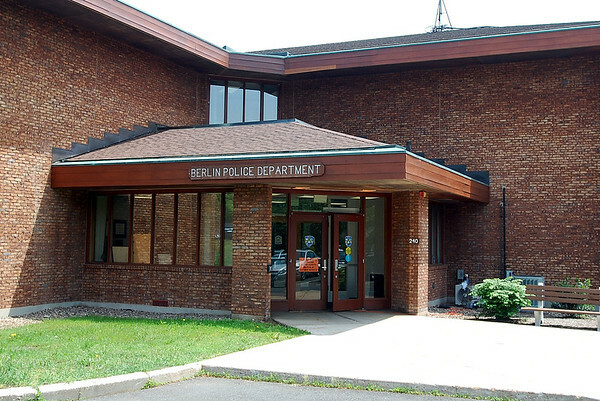 It will allow the town to use members of the program, who will be retired Berlin officers, instead of calling other departments to fill such jobs or leaving them unfilled, Deputy Police Chief Chris Ciuci said. The jobs will be given to the reserve officers if full-time officers can’t fill them. “It’s not to supplement our patrol force, it’s to fill unstaffed construction jobs,” Ciuci said. By filling the jobs, the town will be able to recoup on the 25 percent surcharge paid by companies to the town for using police officers, Sgt. Mark Soneson said. The town has lost a total of around $24,000 from not being able to fill the unfilled construction traffic control jobs, Soneson said. “It’s a win, win, win…” Soneson said, saying that retired officers get a chance to earn income, the town gets additional revenue, and the police department won’t have to worry about calling other departments or leaving the jobs unfilled. The construction companies benefit by filling the jobs with more than just a civilian flagger, and residents benefit by having somebody who is already familiar with the town filling the job, he added. The program members will consist of Berlin police officers who retired after January 1 of this year and are added to it at the discretion of the Police Commission. Only one member is now eligible and that is former Sgt. Todd Lentini, who retired in February. Sgt. John Flynn, president of the Berlin police union, said he wasn’t sure if Lentini would actually enroll in the program as he is now working at a full-time security job. The members’ continuation in the program will also be at the discretion of the commission. The program cannot be used to fill department overtime for any reason and program members are subject to all rules and regulation of the police department, the policy states. The members will have to maintain their officer certification on their own time and dime, but it will be done in coordination with the department. If the reserve officers do see criminal activity while holding the job, they can intervene since they will be certified officers, Lt. Mike Jobes said, but they will likely call a patrol officer on duty to handle a situation. The officers will be unaffiliated with the union and paid a per-diem rate with no benefits that is similar to what full-time officers who work the jobs now receive, Jobes said. The rate will be paid by the town, but then the contractors that use the officers for their jobs will reimburse the town and pay the surcharge. If the retired officer joining the program has retired within six months, then all that is needed is a background check on the officers, explained Police Chief John Klett during the meeting in which the policy was adopted. If an accepted reserve officer retired more than six months prior to joining the program, a psychological and polygraph test will be required of the applying officers, which can cost $400 and $300, respectively, Klett added. Chairman Bob Peters was against the adoption of the policy since only one officer is eligible for the program. “It’s premature and my personal opinion is I think we should table this until we get more guys interested,” said Peters. The other four commissioners said it would be best to get the program going in case any more do become eligible, including using the one eligible member as a possible pilot for its effectiveness. “It’ll be there in case we need it,” said Commissioner Joe Annunziata. The commission has the authority to terminate the program for any reason effective 30 days from a majority vote of the commission. Farmington, Newington and Wethersfield also have a reserve officers program, Klett said. “It’s worth trying,” Soneson said, adding Klett has been open to new ideas, which has been much appreciated by the rank and file. Posted in New Britain Herald, Berlin on Sunday, 19 August 2018 21:19. Updated: Sunday, 19 August 2018 21:21.